– “What can be better than the best potato chips?” you ask. These are healthier than their baked cousins, as all the vitamins and enzymes remain intact and nourish your body. When the chips are dehydrating, the combination of sesame tahini, lemon, herbs, and spices fills the house with an intoxicating aroma that leaves the neighbors wondering of what is cooking. They come out unbelievably crunchy and overall so addictive that it is nearly impossible to keep yourself from reaching for more. I got this recipe in a forum and, as usual, modified it a bit. 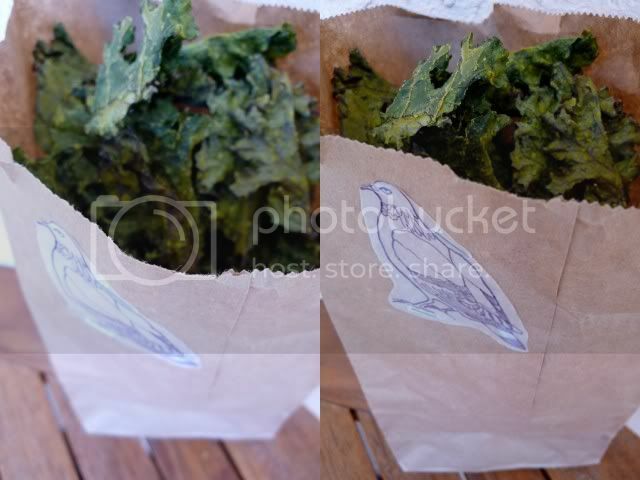 I like to start with two different kinds of kale to add a variety of colour. 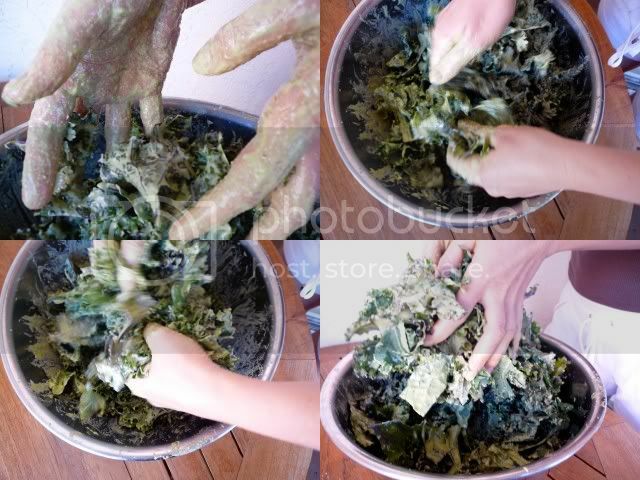 Here, I used green and red kale (although it’s purple, it always is). Wash, tear or cut into medium sized pieces. 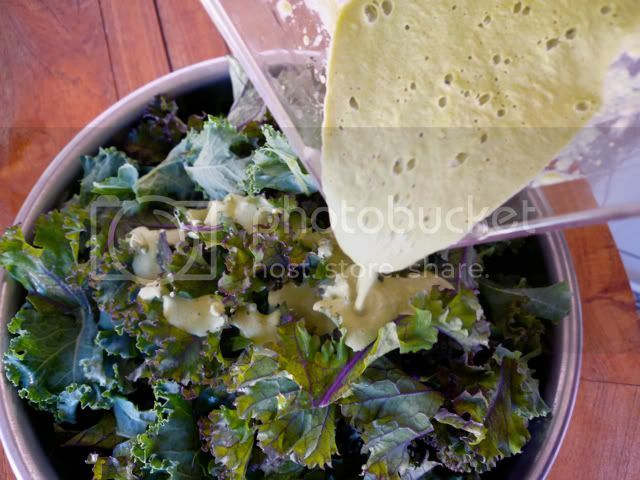 For the dressing, I make my own raw sesame tahini (recipe will follow), but you can find it in health food stores. 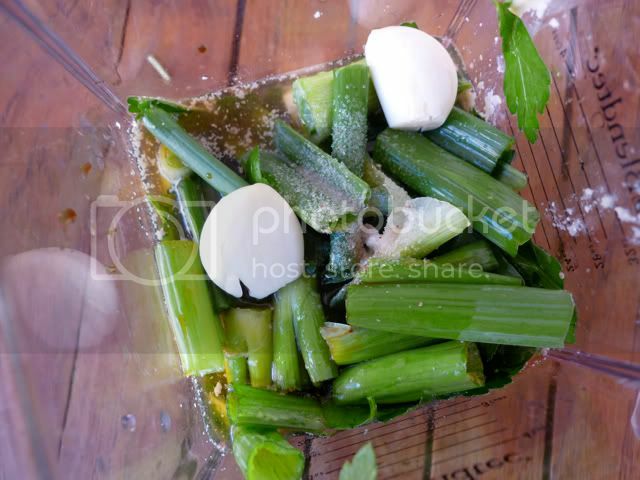 Blend all the ingredients to make a smooth dressing. 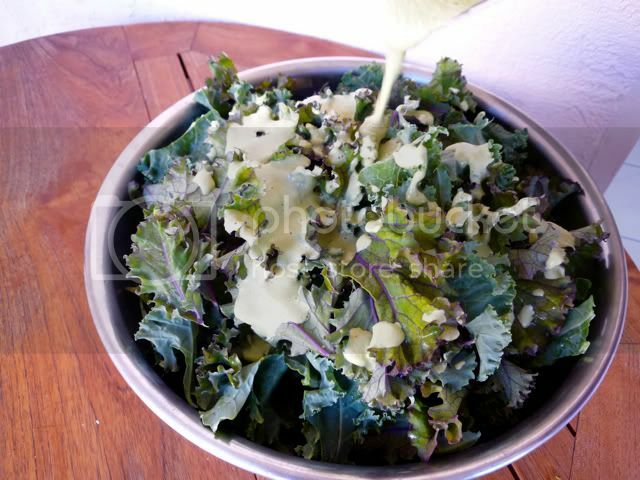 Mix the dressing into the kale, making sure that all the leaves are covered thoroughly. 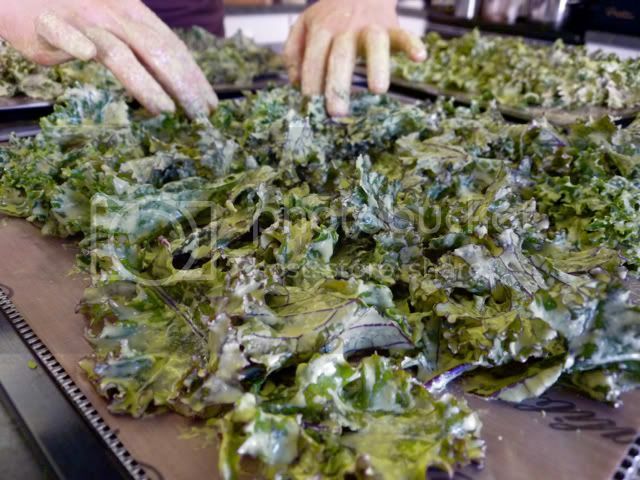 Spread the dressed pieces onto Teflex dehydrator sheets. 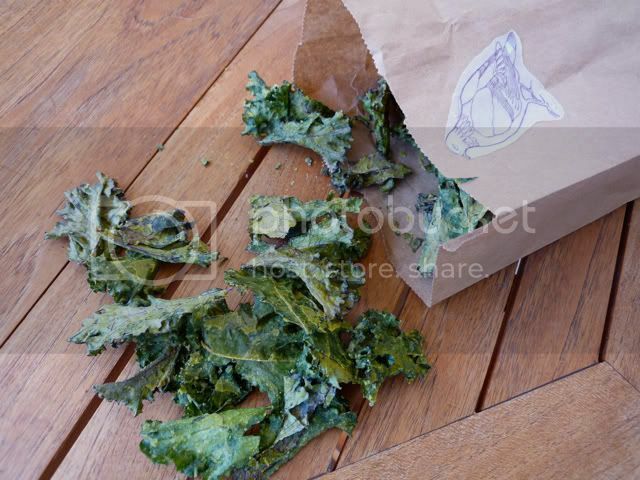 Make sure not to crowd the kale, to avoid the sticking together of the chips. 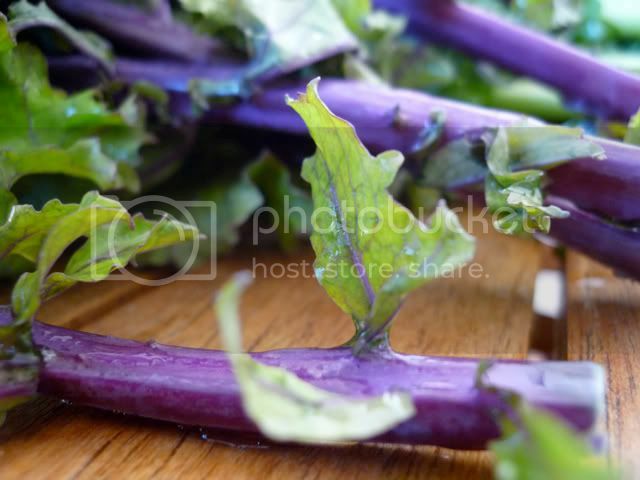 Dehydrate at 110F for six hours or until completely dry and crispy. Flip occasionally. Keep refrigerated in airtight glass containers. 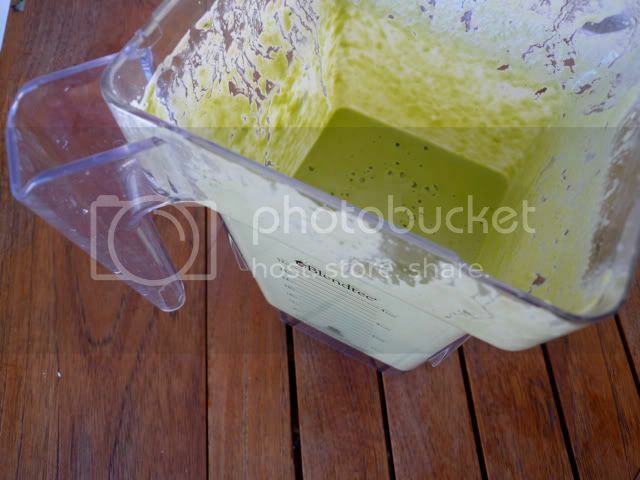 this is crazy cool, i want some..
That looks soooooo delicious,,,and healthy. And I must say ” the most grateful consumer” is a beauty! 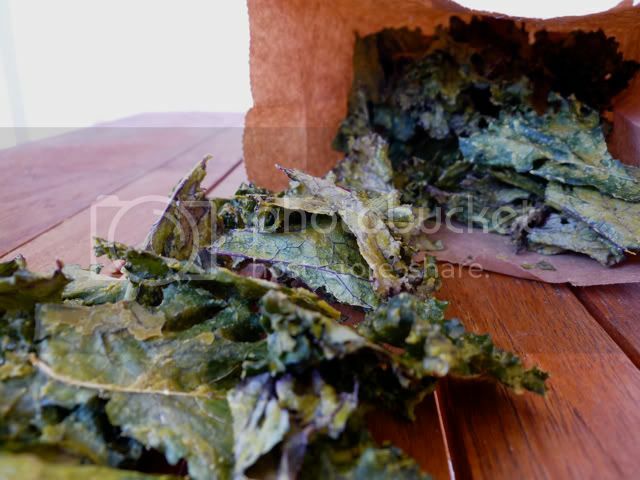 I have a feeling that buying a dehydrator is unavoidable for me :)! I like how you set up your blog now!!! Very convenient!!! Zhenya: :))) We’re glad it works better for you now. Just finished making this badge-its so delicious, thank you so much…and my husband just asked: are they with cheese? it has great flavor! you should have made more….” no honey, its Tahiti mix! I love this recipe! 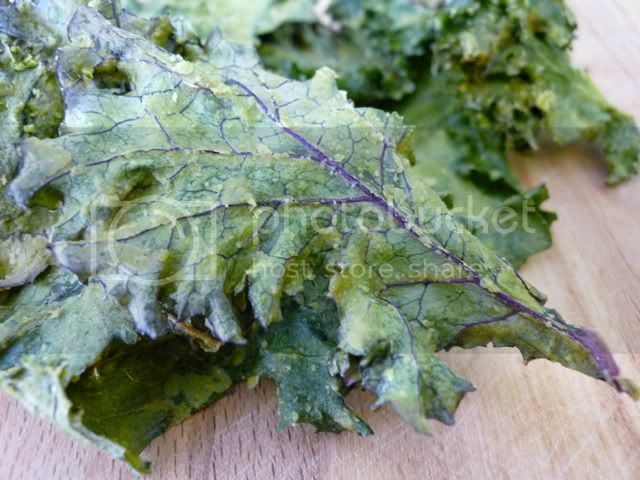 but…the next time I made it I added some sunflower seeds for a thicker coating on the kale! so yummy! 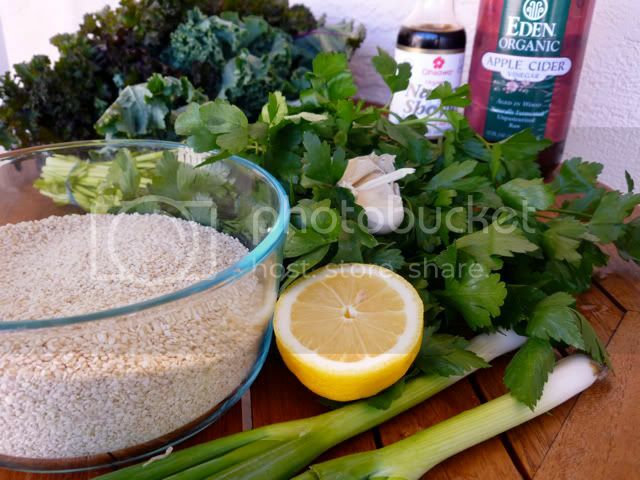 Your blog is awesome, pictures are fabulous and your recipes are good. 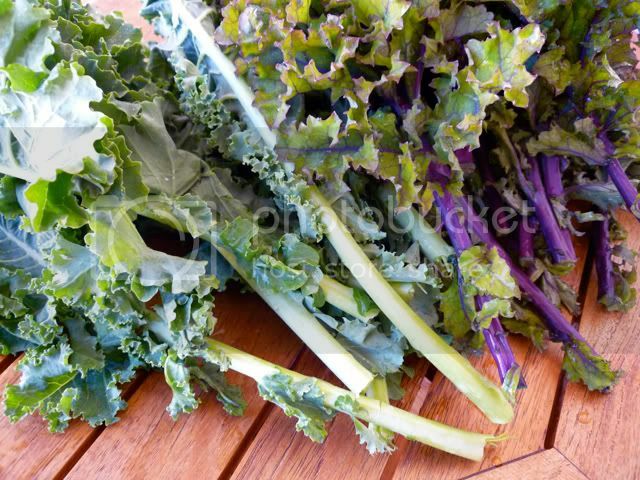 I bought Kale yesterday and I yould like to know, since I’m not completly raw,if i could use tamari or miso. Instead of bragg.